I wake up every morning knowing that I live ninety miles from the closest Starbucks. Civilization isn’t moving in anytime soon. The eastern Montana prairie has been called “the big empty.” Thin soil makes it hard to sink roots and stay. Most folks pass through traveling west on I-94, counting the miles to Livingston, Paradise Valley and Yellowstone Park…the mecca of western trout fishing. I like the mountains, the fishing and civilization…but in the fall, I don’t leave home. Eastern Montana contains 424 Block Management areas that provide access to 4.1 million acres of private, state and federal land*. 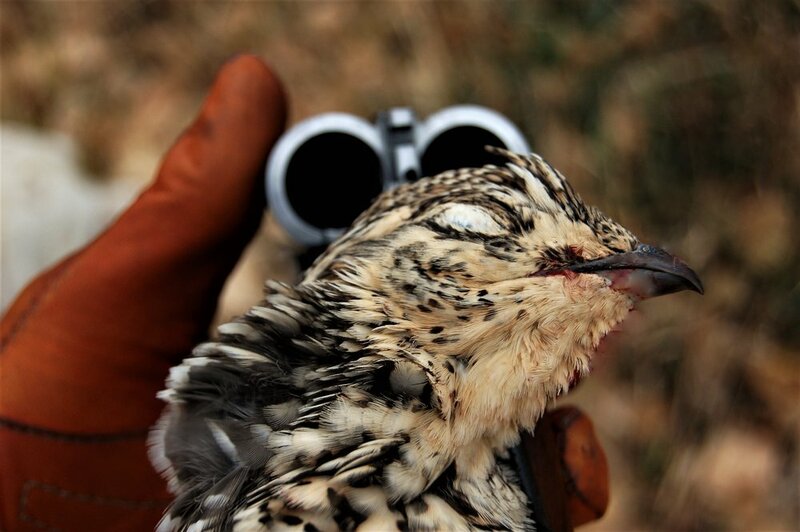 If you do a little research and are willing to take long walks, you will be rewarded with solitude, vast uninterrupted landscapes and the explosive rises of sharptail, pheasants, Hungarian partridge and sage grouse. If you come west to hunt this fall, welcome. Remember to be gracious to the ranch families who allow you access. The gate swings both ways. There is no place I would rather be.